In classic car terms, the word 'wedge' might describe the large amounts of money required to buy, restore and maintain them! 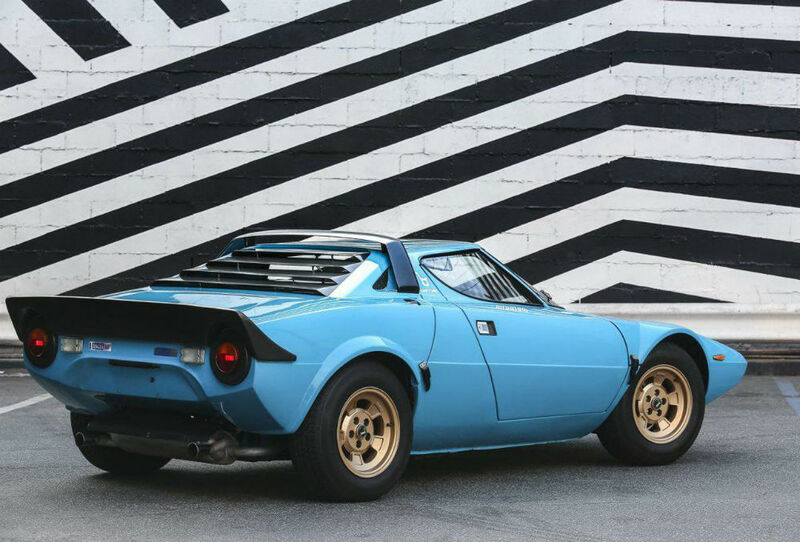 In the case of the Lancia Stratos, though, it could be used literally - for the car was nothing less than a 'wedge on wheels'. Short for 'stratosphere', that is precisely where its drivers would end up pointing, if they did not grant the Stratos the necessary respect! The car's blade of a shape seared through air! It was only on the road as a means to an end - 500 production cars had to be built, to permit Lancia to contest the Group 4 rally version. But, the Stratos was not conceived with competition in mind. Lancia, though, had been gradually slipping behind its rivals - both on the road and at the races. When Cesare Fiorio - head of Lancia's autosport arm - clocked the Stratos concept car, he straightaway saw a chance to get things back on track. That was at the 1970 Turin show. Styled by Marcello Gandini - at Bertone - the Stratos looked superb. Technically, too, it was perfect for Fiorio's purposes. Not only was it lissom and light - but its engine was centrally-located. Sling in a Ferrari 'Dino' motor - and Fiorio was sure it would have all the prerequisites for a top-flight competition car! It would be a long way from the cool confines of the Turin show, to the blazing heat of some of the rally stages. But, with beefed-up suspension - and a more upright driving position - the Stratos was good to go. Once it had donned its 'Alitalia' paintwork, that is! As a rally car, it would be iconic. But, in road-going mode, too, there have been few cars so 'sharp' as the Lancia Stratos!